PЯIDE (Novice) (Предыдущие работы / Previous works): First of all shout out to this flawless human being for sticking with me untill the very end of this project because the Gods know how annoying I can be.It was an immense honour to work along with someone who I admire and I'm truly grateful for her support and infinite patience. The main point of this video was to portray Saber as a merciless servant that would do anything to get the holy grail all to herself. Born in a time of chaos and war she's grown to be greedy for power, killing everyone who would stand in her way and consequently achieving nothing but piles of corpses of her enemies as well of those who blindly followed her in every step she took as a king. 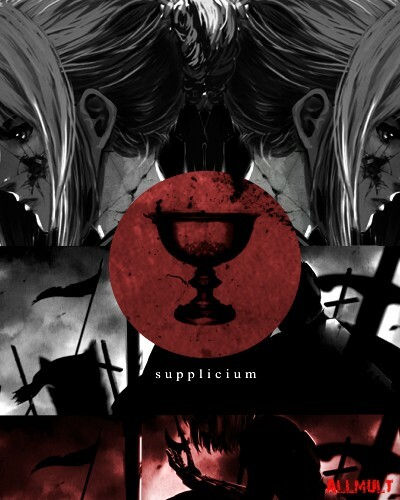 And so, summoned to the Holy Grail War she sees a chance to get power in her hands again willing to do whatever it takes to conquer what she desires even if it means playing a risky game with other people's and her own life at stake once more. Centurione (Pro): I'm really glad this cutest derp ever asked me to be her pro. I really enjoyed working with her and really liked her as a person. About her editing and working on the video: I feel she has a much greater potential but she needs time to show it and I really hope this is not the end of her improvements. I only regret I didn't learn how to use AE so that I could help her with that, since I barely use it for my videos myself ^^'. Anyway, I'm really glad with the work Pride has done and I hope you enjoy it!